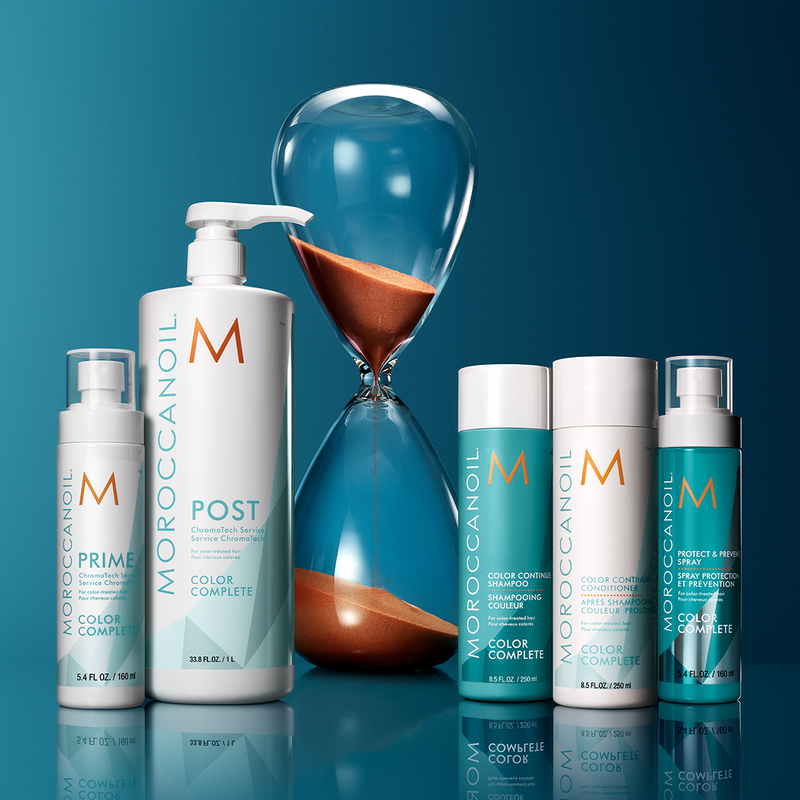 The Mitchell Wade Salon has recently integrated Moroccan Oil’s Chromatech technology as an add-on service. It is a two-part service that promotes even hair color, seals in color, and leaves hair healthy and strong. This service is comprised of two parts: Chromatech PRIME and Chromatech POST. Chromatech PRIME is applied prior to hair color, and reduces scalp sensitivity and encourages a more uniform hair color. After color is applied, Chromatech POST uses Moroccan Oil’s COLORLINK technology to seal in color and leave the hair softer and stronger. In order to introduce color into the hair, there are certain bonds that must be broken first. The COLORLINK technology works to rebuild these bonds once color has been applied. This helps to make color more vibrant and long lasting by sealing the color in. Rebuilding these bonds also helps hair to feel stronger and healthier, leaving clients with overall better looking (and feeling) hair. You should expect to see more vibrant color payoff and less fading. Your hair will be much smoother than is typical with most color treatments, and you’ll also see an increase in the strength and quality of your hair and color; there will be less breakage and brassiness. As per usual, results will vary based on hair type and whether or not you take the extra step in protecting your color. Besides the in-salon treatment we offer, we also sell the retail component Moroccan Oil’s Chromatech line, which can be used at home to increase the longevity of your color. This includes a shampoo and conditioner to lock in color, as well as the Protect and Prevent Spray, which is a leave-in conditioner that protects the hair from UV rays, pollution, and thermal damage. Using these products not only make color last longer, but they also reduce brassiness and fading.